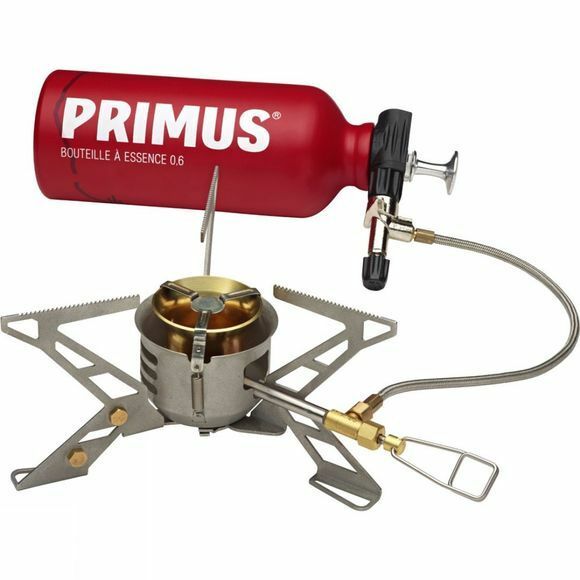 The Primus OmniFuel Stove is somewhat uncompromising when it comes to cooking. Tested over many years on countless expeditions it's been found to be robust, reliable and powerful. Able to work in extreme temperatures, both high and low and at great altitudes this stove has a very high output and can be used with almost any type of fuel including gas, petrol, diesel, Kerosene/paraffin as well as aviation fuel. A glove friendly simmer control knob helps you control the heat while the included accessories help you look after it and store it properly so that you always get the best out of your stove.